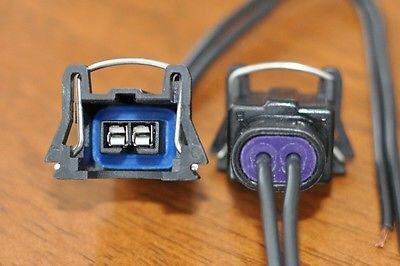 What injector clip pig tails are you using on 8 injector throttle body ? I have both a E & J throttle body and a Projay throttle body. I am using a quick release ev1 injector clip the quality on them is great but they are bulky. So they don't exactly fit without turning at least one of the fuel injectors around which I'm not gonna do I rather buy new ones that all fit side by side . I also tried trimming some of the bulk off but went to far so the clip won't stay in place . I wanna see what others are using . I did find another style might order them and try but I don't want to be order a whole bunch off sets till I find the right ones. Last edited by heynoman; 11-06-15 at 09:58 PM. never was a fan of the bottom OEM style FC S4 connectors, they seem like a good idea for a while... until you wanna ram the pick into your brain instead of messing with the tiny wire. Quick Reply: What injector clips are you using?